To create balance in our family, my mother used to say, “everything in moderation.” Yet there is no question that America has embraced the concept of “too much.” Attitudes of greed and excess created the current financial mess. More people in this country are morbidly obese than fit. Americans are prescribed and take pills for every little thing that ails the body, mind, and spirit. 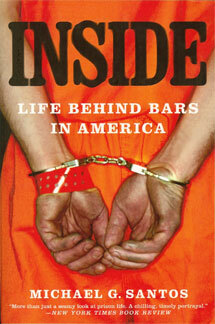 America has the highest incarceration rate in the world. Prison could have a positive influence on offenders, I think, if society used it in moderation. Predatory offenders may require prolonged incarceration to protect society. Yet recently released data that the Pew Report made available suggests that long-term imprisonment has become society’s only tool to respond to criminal offenders. A sledgehammer may be appropriate for tearing down concrete walls, but it’s not effective for building cabinets. Similarly, the prison has its purposes, though I do not think we should rely on it as our only tool. As the U.S. Sentencing Commission suggests in the report it released earlier this year, society ought to make more use of community-based sanctions when appropriate. Such alternatives to imprisonment are more cost effective for society and they can have a more positive influence on offenders who strive to overcome the struggles of their convictions to lead law-abiding lives. Prison convinced me that I had to make changes in my life, and I focused on educating myself. After I had served eight years, I had earned both an undergraduate and a graduate degree. I was 31-years-old and I was ready to begin living as a law-abiding citizen in society. Continued incarceration, I believe, was wasting taxpayer money and it was lessening my chances to live as a contributing American. After eight years of imprisonment, the point of continued confinement seemed to diminish. Now I have more than 21 years of prison behind me, and I expect to serve four additional years. I do not see the point, as I no longer feel punished. This life of imprisonment is the only life I know. Over time, I believe that prison loses its capacity to serve society. It can be useful in tearing down criminal tendencies, though it fails to reform when used to excess.